You are in the perfect location for exploring all that Suffolk has to offer – you are only a minute or so from the A12 corridor which will take you to the famous Suffolk Coast, to historical towns and villages – here are our favourites! Aldeburgh – Shingly beach, fish and chips, Maggie Hambling’s controversial shell sculpture, fishing huts on the beach with fresh fish for sale. Seaside town with huge charm. Moot Hall. Martello Tower. Thorpeness – Walk to Aldeburgh from here. Meare with charming boats to hire for a fun afternoon. Beach. House in the Clouds. Windmill. Emporium. Dunwich – the famous beach which is being washed away by the sea. Many homes and businesses over the centuries have been lost to the force of the ocean. It is said at certain times of the year, you can still hear the church bells chime from their watery grave! 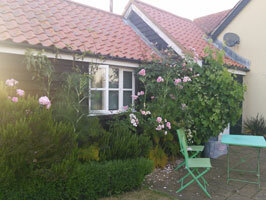 Walberswick – a charming village off the beaten track, with beach and surrounded by heathland. If you enjoy crabbing, this is the place to go! Southwold – Adnams Shop & Brewery Tours (01502 727225) to see round and sample the beers from the brewery, £12/head. Also a Distillery Tour. Sandy (part pebbled) beach, shops, eateries and galleries. Famous Pier! Sutton Hoo, near Woodbridge – a site of two 6th and 7th Century ship burials and contains a wealth of Anglo Saxon artefacts of outstanding historic and archaeological significance. Owned and managed by the National Trust. Lowestoft – Hop on the train at Wickham Market station (2 minutes from the campsite) and you can be sunning yourself on the gorgeous sandy beach in under an hour. Worth a trip on a hot day. Snape Maltings – Concert hall and shops, local produce, gallery. Look out for the food event in September, lots of tasting tents. Woodbridge – Perfect for just about everything. Walks along the river, food, cinema, shops, cafés, parks, swimming, train station. It pretty much has the lot. Marlesford Mill Antiques Centre – tucked behind the farm café, this place is a treasure trove of everything, it really is worth checking out what dealers have on sale, there is something for all. Framlingham – Framlingham is a small town with a lot to offer, Tuesday and Saturday market, and, if you are lucky to hit it when Over the Moon is there, you can get Crepes too. Retro shop, cafés, boutiques, restaurants, antique shops, deli, pubs, ice cream parlour (summer only) and castle to boot! Orford – Orford Castle, Orfordness, boat trips on the Lady Florence. Small shops and two lovely pubs! The Jolly Sailor and The Kings Head. Stunning church and a lovely village to walk around and admire the cottages. Minsmere – Nature reserve owned and run by the RSPB. Great day out for the family and close to Dunwich.